Condo shopping is a painful task yet very exciting. Getting a nice big place with lots of bright light and high ceiling overlooking the lake is everyone’s dream. With the modern architecture glass tower condo design we see lots of pillars/columns used as structural support rather then exterior concrete walls. This way there good be more glass to enjoy the view and brightness. The big glass definitely is great in cities on North America because we get about 4-6 of dark winters. The concrete pillars are becoming feature walls and being put to use more then before. Builders these days add power and cable outlets making it a perfect place for mounting your TV or your work computer and building a deal around it. Condomounts.com has great customization services available to design and build a unique requirement of your choice. 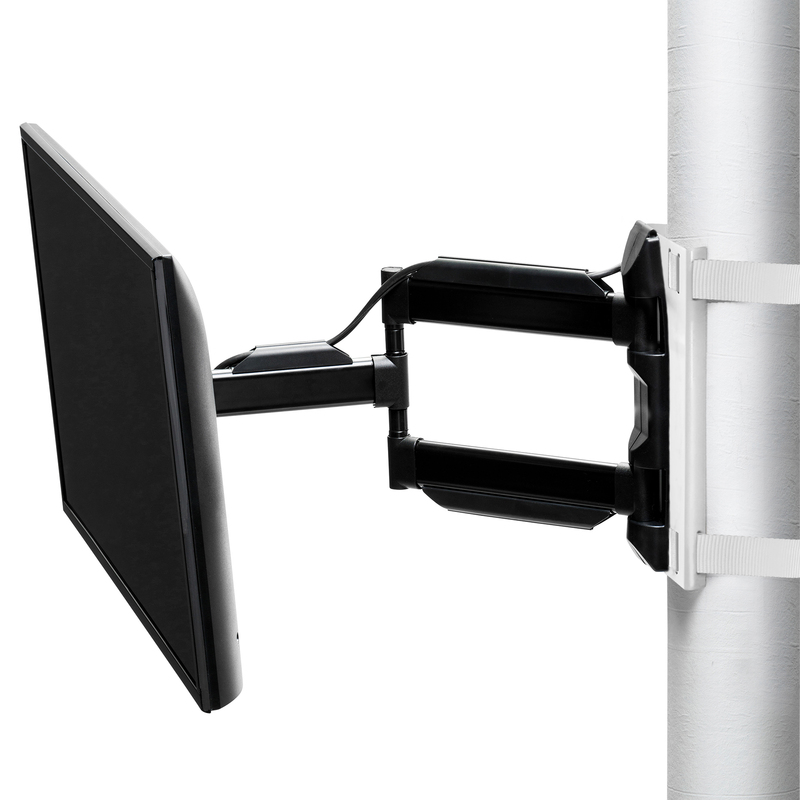 With its slot grip technology, plenty of cool items can be mounted securely onto a pillar without drilling.